Sensor Systems Inc., founded in 1961, designs and manufactures the finest antennas available for commercial, business and military aircraft. In the aircraft industry, our solid reputation for high quality and reliability has allowed us to become the largest world-wide supplier of OEM antennas. During the past five decades we have developed and continually improved a complete line of antennas featuring many significant advances in aircraft communication and navigation. Sensor Systems holds over twenty patents and builds more than 200 types of aircraft antennas. One of our major contributions to the industry is a patented, all-metal, one-piece-cast antenna. This eliminates “P” static and offers high electrical efficiency, greater mechanical strength and longer service life than fiberglass antennas. Another important feature of our products is D.C. grounding to provide lightning protection. Due to these and other features, Sensor Systems’ hermetically sealed antennas are still operating with high reliability and efficiency long after most fiberglass antennas have exhausted their useful life. To preserve this competitive edge, we maintain state-of-the-art design, engineering, manufacturing and test facilities in our 70,000 sq. ft. main complex in Chatsworth, California. 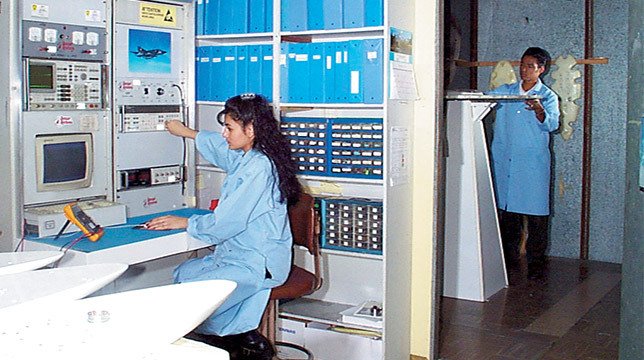 This modern facility was designed and outfitted specifically to produce high-quality aircraft antennas. 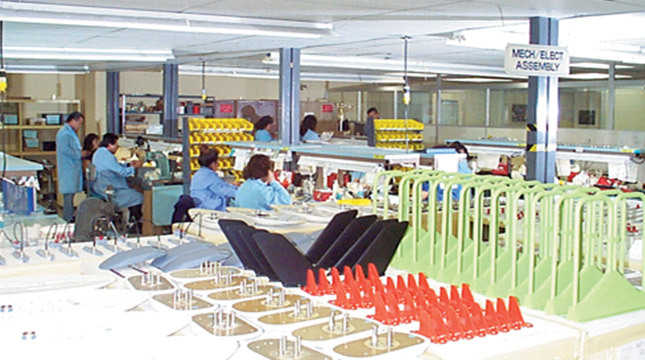 It gives us complete in-house capabilities and total manufacturing self-sufficiency; including a production machine shop, aluminum foundry, fiberglass molding and precision tooling shops. Manufacturing and assembly operations are fully supported by the industry’s most technically advanced research and design laboratory, instrumented anechoic chambers, and an outdoor computer-controlled pattern range. We meet or exceed all military specifications and FAA/ EASA requirements for standard and custom antenna designs, with quality control procedures certified to ISO 9001:2008 and EN/JISQ/AS9100:2009 standards. We also maintain a large stock of spares for fast AOG support to commercial airlines and business jet aircraft. Immediate delivery is available via major airfreight carriers. In summary, Sensor Systems Inc. is your go-to place for aircraft antennas. We invite you to come and visit to discuss how we can meet your aircraft antenna requirements.